"The Divine Woman" is a drama, included in our program to illustrate the work of director Victor Seastrom, a star of Silent Hall of Fame. Only 9 minutes of the film survive, preserved in a Russian archive. Lars Hanson is a soldier leaving the country on a military mission and Greta Garbo is his girlfriend who will stay behind. The episode shows their emotions in the parting scene. 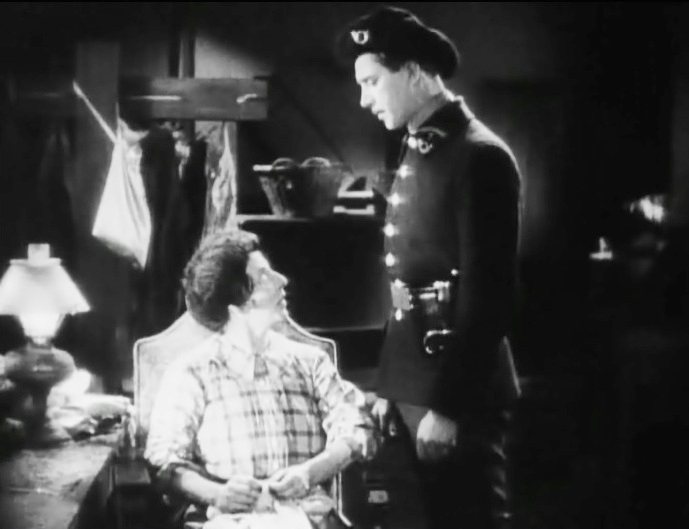 Polly Moran and Lars Hanson have a chat in "The Divine Woman" (1928), director Victor Seastrom (Sjöström). 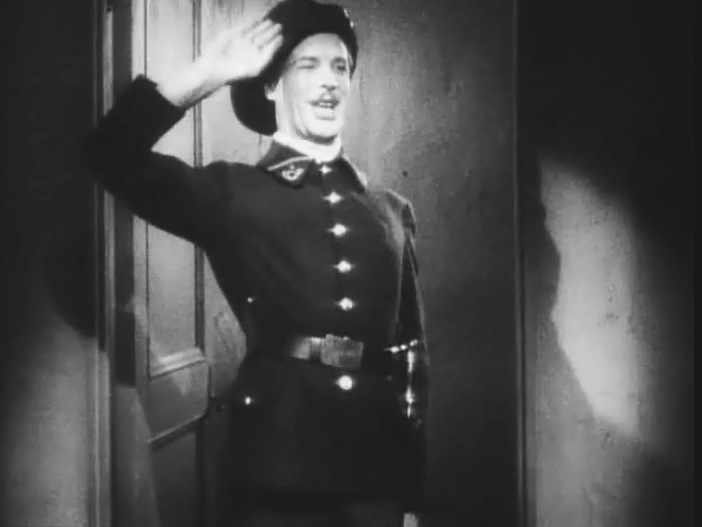 Lars Hanson makes a military salute in "The Divine Woman" (1928), director Victor Seastrom (Sjöström). 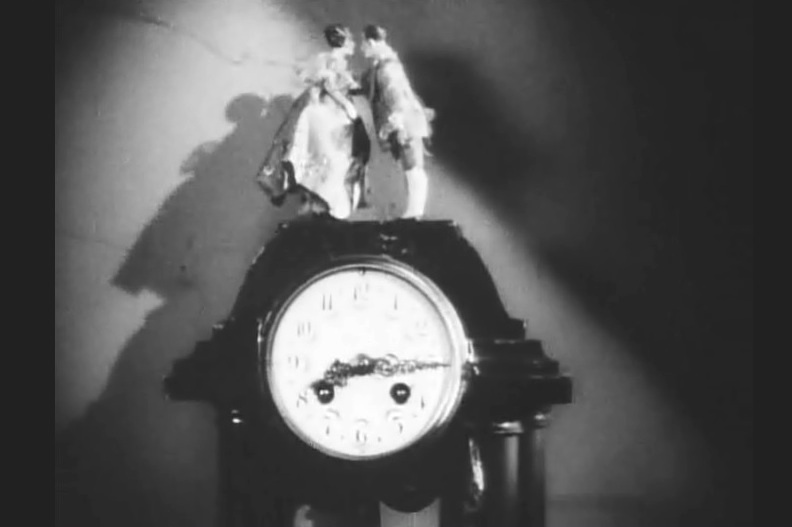 Two figurines on top of the clock kiss in "The Divine Woman" (1928), director Victor Seastrom (Sjöström). 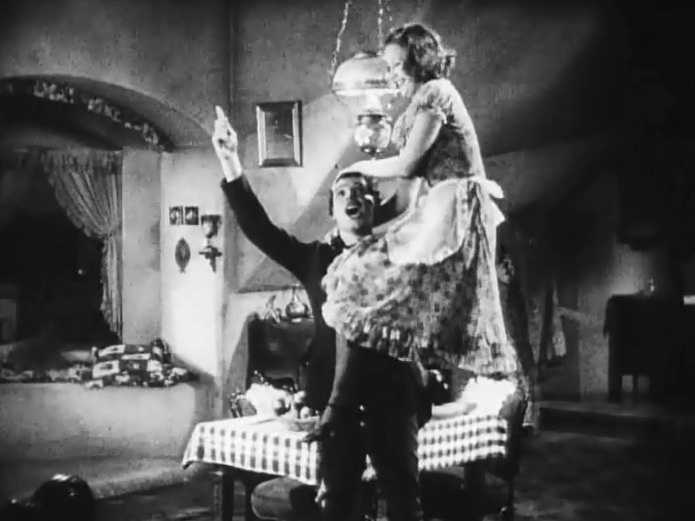 Lars Hanson and Greta Garbo have a good time in "The Divine Woman" (1928), director Victor Seastrom (Sjöström). 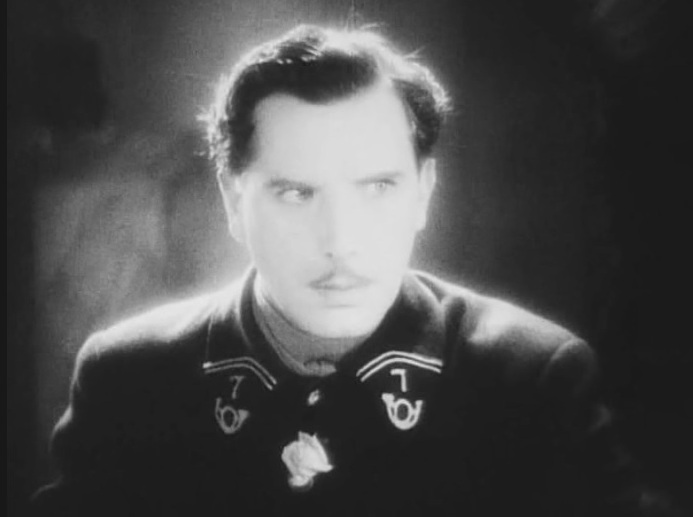 Lars Hanson decides to leave in "The Divine Woman" (1928), director Victor Seastrom (Sjöström). Greta Garbo looks at Lars Hanson heading to the door in "The Divine Woman" (1928), director Victor Seastrom (Sjöström). Lars Hanson and Greta Garbo don't want to part in "The Divine Woman" (1928), director Victor Seastrom (Sjöström). Lars Hanson and Greta Garbo feel the impeding separation in "The Divine Woman" (1928), director Victor Seastrom (Sjöström).